The regular season has been marked by two historically dominant teams and an unusual lack of parity, which culminated in one of the least memorable first rounds in recent memory. There was a paltry feast for the casual fan, but as always, there were treasures to be found for diehards willing to parse through the wreckage. Here’s what we saw. Luck and randomness play a much smaller role in the outcome of an individual basketball game than the outcome of an individual football, baseball, or hockey game. Success in the sport is based on the precise execution of entirely repeatable skills such as making jump shots, trying hard on defense, boxing out for rebounds, and making smart passing decisions. This makes the NBA far and away the most predictable of the major American sports leagues. Huge upsets are rare occurrences in the first round, but this season stands out even in that context. 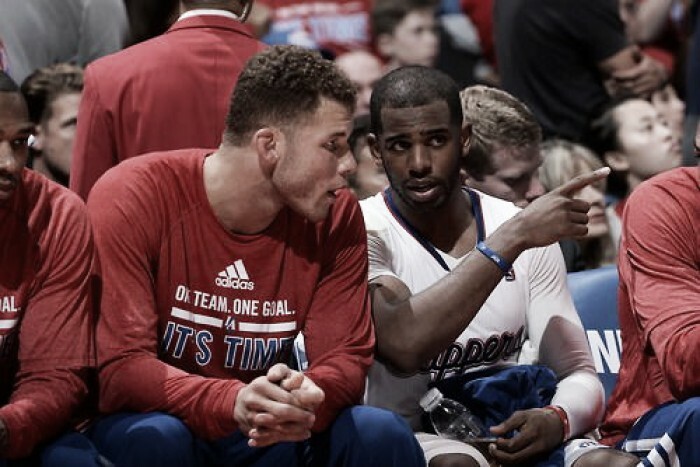 The Clippers bowed out too early yet again thanks to Chris Paul’s absence and Blake Griffin operating at less than 100%. However, it still was not the most significant injury story of Round 1 (unless you happen to be a LA fan). Many have said all season long that the best chance anyone had of stopping Golden State would be an injury to reigning and future league-MVP Stephen Curry. What do you know? That’s exactly what ended up happening.The shambolic Houston Rockets managed to shock the world by stealing one win at home, but the Warriors were still able to deal with them comfortably in the end. 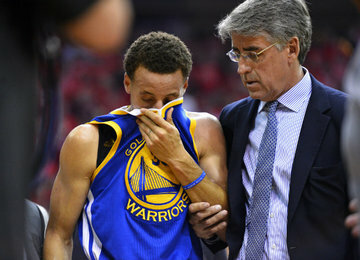 As unfortunate as Curry’s injury was for the Dubs, they also got a bit of good fortune on the injury front in the form of Chris Paul’s aforementioned health problems.The Trail Blazers have been a wonderful story this year as the NBA’s most pleasantly surprising team, but they’re a much less daunting second round opponent than a healthy Clippers squad. The Warriors are in ‘Championship or Bust’ mode as they absolutely should be, but even though the Trail Blazers may put up more of a fight than some expect, the Warriors can bring Curry back on their own schedule. Golden State doesn’t need Curry to beat Portland. San Antonio in the Western Finals? That might be another story. 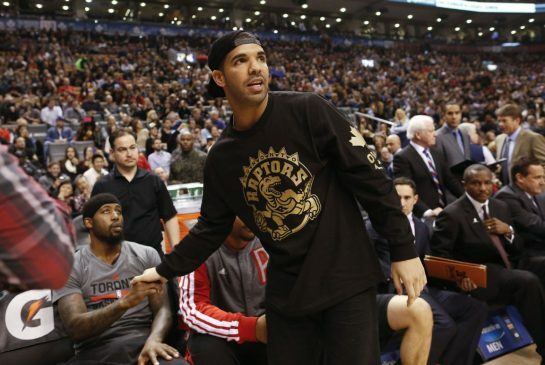 DRAKE (and the Raptors) FINALLY GOT TO THE SECOND ROUND! Good for Drake, man. He’s been watching the Raptors find ways to lose to inferior teams in the first round every year and this year, they were finally able to put away a series that took way too long. Indiana presented Toronto with a difficult matchup problem. Toronto’s entire offense goes through outstanding backup pairing Kyle Lowry and DeMar DeRozan, and the Pacers have the guys in George Hill and Paul George to match up. Having said that, even with Paul George having a very good series, the Indiana Pacers cannot score a basket to save their lives. Toronto wants to think that they have a chance to make the Finals. One way to sway the unconvinced would have been to come out in the first round and make quick work of a one-dimensional opponent. Instead, this thing down to the wire. HEY! AN INTERESTING, ENTERTAINING SERIES! Miami’s first round tie with Charlotte figured to be the closest series of Round 1, and it didn’t disappoint. The series was a back-and-forth affair, with Miami absolutely devastating Charlotte in games 1 and 2 before Charlotte flipped the series on its ear by winning the next three games to take a 3-2 lead. 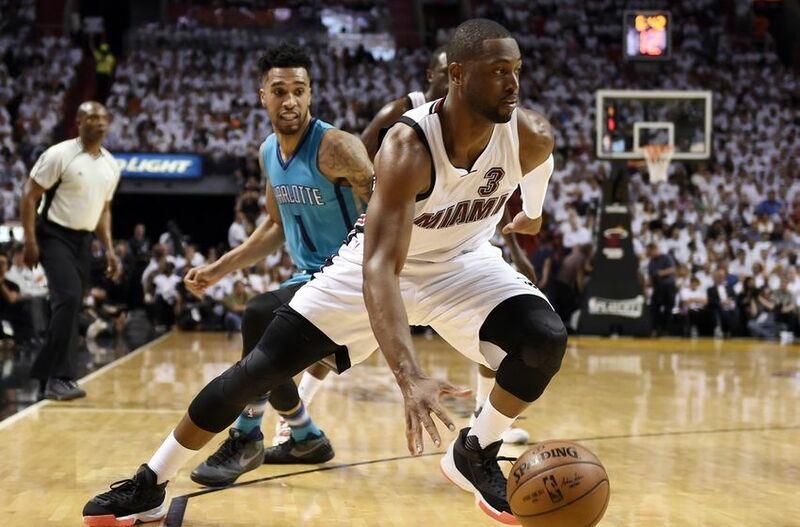 The Heat rebounded to steal game 6 in Charlotte before Sunday’s rout to win the series and secure a second-round meeting with the Raptors. Charlotte was another one of the League’s most surprising teams this year and Head Coach Steve Clifford should get a lot of credit for that. Charlotte’s biggest strength all season was their depth, thanks to Clifford’s decision to move Al Jefferson out of the starting lineup. This allowed Jefferson to punish opposing second units with his unparalleled low post offensive skill set. QUICK ROUND 2 PREVIEW! WHAT WE’RE WATCHING FOR! Cleveland vs. Atlanta – Do the new, Super Small Ball Cavs lineups that feature Kevin Love at the 5 keep right on rolling against Atlanta, who can match up with those lineups without compromising so much size? Toronto vs. Miami – Do DeMar DeRozan and Kyle Lowry take over the series against a Miami backcourt that plainly cannot guard them? Golden State vs. Portland – In Steph Curry’s absence of undetermined length, how does Steve Kerr deploy Klay Thompson on defense against Portland’s dangerous backcourt? San Antonio vs. Oklahoma City – Will Billy Donovan have a shred of dignity left after what Gregg Poppovich is about to do to him? Next Article » The Heavyweight Curse – Will Stipe Miocic be the First Heavyweight Champion With Multiple Title Defenses?